It’s my first time at Heladería Georgetti—the local ice cream shop located next to Río Piedras’s Catholic church. Inside it, people are loudly buzzing in conversation while sipping on their smoothies and licking their spoons—I usually just go to the refrigerated goods section at Walgreens, mea culpa. Jhoni Jackson’s texted me that she’s just around the corner, and she’s coming with her close friend and local DJ, Ien Grave. Jhoni’s been on my mind a lot recently. 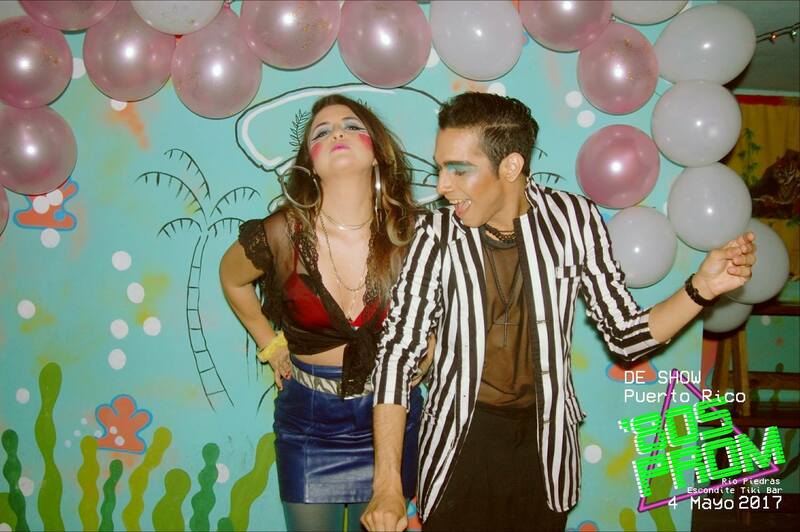 The founder of De Show—a monthly LGBTQIA pride party in Río Piedras featuring drag queens, drag kings, DJs and more—I first heard of her from a local drag queen, Vena Cava, who suggested I get in touch with her. She’d written an article for Paper where she talked about queer experiences in post-Hurricane Maria Puerto Rico. I decided that I should definitely talk to her after I went to Vena Cava’s goodbye party, which Jhoni organized. It was November 2017, two months after the Hurricane, and Río Piedras had no electrical power. 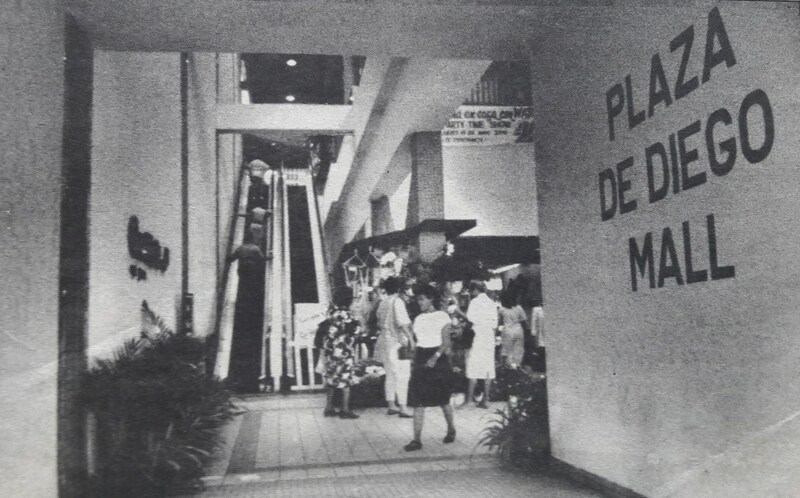 The party took place at El Paseo de Diego—a now-not-too-thriving commercial street in the heart of Río Piedras. What was once Puerto Rico’s most booming shopping area is now a ghostlike street, with closed up stores lined up one after the other. I’d never seen El Paseo the way I saw it that 22nd of November: busy, an electric generator rumbling, a spotlight connected to it, a wooden stage in the middle of the street, and Mondo Bizarro serving drinks outside of the venue. The Paseo was dark except for the area that De Show had activated and brought to life as Ien played his beats and Río Piedras’s queer kids gathered in their cliques. During a period of time where uncertainty, sadness, and post-traumatic hardship abounded, Vena Cava’s farewell party was quite literally a light at the end of the Paseo, a celebration that brought the LGBTQ community a much needed distraction, and one that breathed life into one of Río Piedras’s most derelict streets. For a few hours anyway. You do a lot of work with the LGBTQ community in Puerto Rico, in particular in the Río Piedras queer scene. I’ve seen you organize events as well as writing about it, but I wanted to ask you, could you tell me how you describe the work you do with queer youth in PR? What’s your goal? JJ: As a writer, I’m able to cover things. That’s my journalism work. For oganizing, I opened Club 77, that’s around here. In 2012 is when we started, when I moved here, and we opened in 2014. Me and Jose Javier, and this girl Kristen Fink, who doesn’t live here at the moment, that’s where I started booking and organizing. Then I started organizing drag shows there. I met Warhola Pop who now lives in New York, and started doing shows with her and Adi Love. Eventually we did a Kings show. We used to do a Queens of the 90s, and we were like “Let’s do King of 90s”. From there we decided to do a monthly show and we launched, June 2016, pride month, was the first De Show. It was gonna be a monthly at Club 77. That September I decided to leave the club, focus on writing and eventually work toward opening my own club by myself. It would be a queer club specifically. But I took De Show with me and we kind of hopped around different venues in Río Piedras. We did one at El Local, but mostly it was in Río Piedras; we were at La Beckett at one point. We did a rooftop party there after their karaoke, that was really chaotic cause it was really crowded and full of their karaoke crowd. We were at El Ensayo for a while, we had an issue there with the manager not showing up one night—they’re under new management now, it’s nothing against whoever’s managing now. That night we ended up at Baker’s Bakery last minute. It was our queer priDe Show and we were like “What are we gonna do? They’re not even here to open the door and it’s 9:30.” So Baker’s graciously took us in and we performed there. Then, the hopping around was a lot, so we settled in at the Tiki Bar—El Escondite—that’s right next to Mondo. It’s no longer open. We kept running monthly, stopped during Hurricane Maria. Then we did a couple of farewell shows for people at el Paseo de Diego, with a generator and the spotlight from the police [she laughs]. We’ve done shows at the Tiki and Mondo since. When Mondo was running with a generator, we did it beside Mondo, instead of just using the generator power for the Tiki, because it’s so much bigger. Now we have a campaign to open a new bar, called Lover Bar. That’s still in progress, but it was set back by Maria. I was personally financially set back by Maria, like anybody else, so I had to take a beat and come back to it. Now I’m waiting for finding a lease at a space. Do you know where it’s going to be yet? JJ: It’s going to be in Río Piedras. What made you want to get involved with the drag scene here? JJ: I think it was through Warhola Pop. I liked drag and I wanted to incorporate queer-friendly programing into the mix. I didn’t so much openly identify as a queer person, but by getting closer to the queer scene—getting closer to my queer friends, I guess—helped me feel more comfortable with that and feel more like myself. As the queer scene started to develop I wanted to push it further, because I saw people were feeling like I did, like I’d found a place, like “This feels like me, I feel comfortable. I feel like myself.” I just wanted to keep it going. I was a student here back until 2010. I’m not sure if the queer and drag scene was more quiet back then, or if I just wasn’t part of that circle. JJ: I feel like the whole population of Río Piedras changes every 4-5 years because it’s so many students. From what I can tell and what people have told me about the entire drag scene in Puerto Rico, there’s always been drag but the queer movement within the drag scene is newer. Why does Río love drag? JJ: I think there’s a lot of queer students at the university. Drag is having a huge moment in terms of its popularity, and there’s a lot of queer younger students that love that, and there’s nothing else in Río Piedras that’s offering any queer kind of community besides it. In the queer drag scene, it’s a community where anybody can go. What would you say is unique about the Río Piedras queer scene? JJ: It’s a place where you can do drag for the very first time. It’s very DIY. There are queens that go all out and send more money on their outfits and stuff, but you don’t have to. It’s also not just drag queens, there’s drag kings too. The Santurce scene can sometimes very strictly stick to those definitions of what drag is, and here it’s way more fluid. I think it’s a little scrappier, a little startup, and that makes it more inviting to people. Anybody can be part of it. IG: I think the university and the campus itself gives the opportunity for students to be scholarly about how free they can be within their own cultural boundaries. Sometimes when you live in an island where everything is so religion-based, and families are so traditional, when you come to a hub of, not only education, but cultural exchange, having students come from all over the world or even different parts of the islands—more conservative—it creates this mass of constant exchange of information, cultural experiences, language and things you can sort of adapt. JJ: You just got me really excited about thinking that connection to college life and that period in your life, and why culture feels different over here, because it’s rooted in college. It’s a coming of age in college. Of course they feel their most creative and most freest. It has that vibe to it—of discovery. But I mean, Ponce has various universities, but I keep hearing that Ponce’s more conservative, repressed. IG: I’m from there myself. IG: Being from Ponce, moving to San Juan I thought I was going to have a better outtake, find a job, getting the kind of education I wanted. I studied at Sagrado Corazón, which is the place for Communications. I didn’t have the experience that I had here when I was in high school. Everything was repressed, and everything was very criticized. If you were even a little bit queer, or a little bit strange, people would verbally attack you. And that’s something that’s very common, not just in the south, but in other parts of the island. So when I came here to San Juan, you find a mix of everything. When I started going out, I went to goth parties and industrial events. But I was still very much that kid. I met Jhoni after college, when I started hanging out at the club, I saw a change in myself in the last couple of years. I became more open, I got queerer, I became less restrained with myself. I started doing things, like even performing as a fluid drag king and dj, that I didn’t think that I could do because I didn’t feel there was a space for me. JJ: Speaking as to why there might not be the same kind of scene in Ponce or Mayaguez, when they have universities there, we very intentionally always said “Anything goes at De Show, anybody can do anything”. People saw brand new performers one after the other, so it encouraged other people to join in and support it. It holds space for everybody. IG: It’s a judgement free zone where you’re able to start your own thing and develop it, and no one’s going to question you. First time experiences in drag are very competitive, you have to come out with a really polished looks, you often present as a pageant queen and that’s expensive. But in Río, you’re presenting a concept rather than an overall look. JJ: I’ve seen really elaborate looks and some minimal looks, it just depends on what they’re trying to get across. There’s a whole spectrum here. One of the cool things about De Show is its structure. It rotates venues, kind of like this nomadic thing. Could you tell me a little bit more about that kind of party structure? Why rotate? Is it about flexibility, economy…? JJ: It works right now because we don’t have a space—we don’t even have the Tiki available to us at the moment. We could literally be anywhere. We haven’t had a show in the past couple of months because I’ve been trying to get really focused on opening that new space. But I mean, in the beginning it allowed us to be anywhere, I think out of necessity. My point was to stay in Río and provide something here, because in Río Piedras, at that moment, there were no other queer events. We’d go with whoever would take us. Which places took you in? JJ: We were at Club 77 first, then we’ve been at Teatro Beckett, on their roof—that’s where we did the ball Río Piedras is Burning. We were at Taller C, which is across from Bori, but it’s not Taller C anymore, it’s called El Ensayo. Baker’s Bakery, the panadería on the corner. We’ve been at Mondo and Tiki for the last portion so far, and in the Paseo when there was no light. Do you select these places or do they come to you saying they want a De Show party? JJ: We had to reach out and ask if we could do shows there. JJ: Just space and an environment where they’d be open to have queer performers. I wish that I’d maybe been a little more selective at times. Teatro Becket was not the most welcoming environment because they had their own crowd. I thought when their karaoke’s done, people would clear out, especially seeing drag performers arrive. A few potentially close-minded people stayed, and a few people complained that it wasn’t a welcoming environment. That made me want to have our own space even more, because I can’t have our party in a place where people don’t feel comfortable because that’s the whole point—for people to be free and safe. Not having any control over that is terrible. Most of these venues are straight? JJ: Yeah, there is not one specifically queer venue in Río Piedras right now. Not one. Not one. I don’t know understand how that’s possible when there’s a college right here. How come no one’s opened one now? How is there not even one tiny gay bar? Not one? We want to provide a platform to invite people to perform and be free to do their art however they see fit, however that may be. And for the people who want to be part of it, we want them to see that art, enjoy that art, and feel that they’re in their own queer community, in a safer space where they could also be themselves—even if that means artistically off the stage. The first time I went to a De Show event was for Vena Cava’s farewell event. I was struck and blown away with how el Paseo de Diego was transformed into such a queer space. JJ: One time we had a pool party—Tropidrageo. I put a mini pool in the Paseo [she laughs]. JJ: Oh God, that was last summer. It was just one of those inflatable ones, but there were easily 15-20 people inside it. Whose water did you use? JJ: It was the Tiki’s. And did you have to get permission for that? JJ: I didn’t. There was a cop circulating though, but I didn’t see him. That’s another reason why I want my own place. I want to have security at the door, I want people to feel safe and offer a place where people can go to if there is a problem. I don’t have the funds to do that when I’m doing an event somewhere else. I get a percentage from their bar, and that goes to the performer. Each night there’s a host, and we’d rotate hosts, because there was so little money to go around. I can’t get the funding I need for security unless it’s my own space. For Vena Cava’s show, it was interesting timing. It was a few months after the hurricane, there was no power and not a lot happening. What did you want to do that night? Was it about her or were you sending a message? JJ: We did two farewells during that time. They were specifically so they could raise some money in tips for their trips to leave the island, and so they could have one more performance. So a few people from De Show left the island post-hurricane? JJ: Yeah, but two of the people that left are back now. What was putting an event together under post-hurricane conditions like? JJ: Well Mondo said we could use their generator, and their was already a huge spotlight at the end of the Paseo cause it was really dark, so we figured we could just use that. That was November 22nd, so we had more cell phone communication during that point, but there were still a lot of people without power. I got power back after like a month, because I’m right by the cuartel and el hospital. It started quite early, as opposed to most shows. JJ: Yeah, because we were under curfew by the government. We had until midnight. Do you need permission to put on an event at the Paseo? JJ: Normally you would, but we didn’t. JJ: No. There wasn’t a lot of people around. We usually get permission for things like that, you get it through CAUCE and there’s a Junta Comunitaria and stuff. Once a month we used to have Jueves de Río Piedras, and we used to have tons of stuff at the Paseo that was organized by Luis Irizarry who has a studio about Mondo, Mondo Bizarro and a lot of other local businesses. There would be an artist market and stuff, but those funds are gone now. That made the process easier, Mondo had an easy connection to get those permits. The Facebook event described is a “farewell show relámpago”. It had this slogan that said “El verdadero desastre es el colonialismo”. What was the idea behind that? JJ: It was close to Thanksgiving, and I wanted it to be clear that I was not celebrating Thanksgiving. I asked la Colectiva Feminista en Construcción if I could borrow that phrase. They use that slogan in their graffiti a lot, and I didn’t want them to think I could rip it off. I wanted it to be about Vena Cava, and I wanted it to be political. IG: My interpretation on it was a reaction to what was happening after the storm—how slowly we got the surprise from the mainland. The problems we were having pointed out that the storm wasn’t the biggest tragedy, it’s the fact that we’re under this oppressive state. JJ: I guess that was part of it too, cause it also felt weird to throw a party while stuff was still so chaotic and absolute crisis in November. IG: Culturally we tend to party a lot, regardless what’s going on. People would still come out because they needed distractions, they needed to be uplifted. JJ: And they need that queer community too. They need that sense of support, so it was about reuniting people. The stage that was there, is it always there? Yeah. That was part of Jueves de Río Piedras. CAUCE and I think the Municipio worked on the plans for that. There’s a little stage there, they put some planters and some tarps above. They tried to pretty it up a little. And the bar that was running that night, accessible from the street? JJ: That was Mondo. They have a window that opens to the street. But they’re no longer open. They announced that they were having their last event not long ago. You mentioned earlier having to leave to make a name for yourself. When you get together do you discuss what the Island, the government, the university, or the powers that be do to keep the queer community here and able to make a living? I think that Río tends to be more open and inclusive anyway. I don’t feel totally out of my element in most places here. JJ: For example, when we were first moving around spaces, El Bori had just opened their second floor, and I had asked several people in our group, “What do you think about doing a show there?” They were like, “I don’t really wanna be in drag at El Bori.” They didn’t feel that they’d be comfortable in that huge crowd of people you see on Thursdays, coming in there in drag, so yes the spaces here can be more inclusive but it also depends on how outwardly you present as queer. There’s degrees I think. Do you have a timeline for when you think Lover Bar might happen? JJ: The landlord is working with lawyers to finalize the dissolution of the old lease, and I’m waiting for that to be done so I can sign a new lease. I’ve thought about maybe opening with the decor that’s already in there, and changing it poco-a-poco. I wanna have the funding through Lover Bar to bring back people for special appearances from performers who have left, like bring back Vena Cava, bring back Victoria Holiday. A lot of people left in search of other opportunities, but in a way it’s like they’ve been forced out of here. The situation has forced people out. People don’t want to leave where they came from. El pueblo de Río Piedras se fundó en 1714, como la Villa del Roble. Según el historiador Cayetano Coll y Toste, esta aldea se estableció en una pradería conocida como la Vega de las Garzas Blancas. Este fue el quinto poblado de la Isla. Ya para el 1776, existía la iglesia parroquial Nuestra Señora del Pilar, el puente de Martín Peña y varias casas en el área con una población de 1,369 personas, según datos recopilados por el historiador Fray Iñigo Abbad en su obra “Descripción de los pueblos de la Isla en 1776”. Para esta misma época, Abbad describe las riquezas de sus tierras, por los cultivos que se daban, que abastecían a la Capital. Caña de azúcar, algodón, café y casabe, eran algunos de los cultivos que se daban en el Roble. Aunque esta área disponía de terrenos muy fértiles para la agricultura, sus habitantes no se preocupaban por explotarlas al máximo, lo que llevo al pueblo a un cierto estancamiento. Pero no fue hasta el 1824, cuando el gobernador Miguel de la Torre, viendo el potencial del área, intervino para abrir puertas a un mejor desarrollo del pueblo y designó a don Francisco Álvarez como alcalde de Río Piedras. En su historia, Río Piedras ha pasado por diversas reorganizaciones territoriales hasta principios de la década del 50, cuando se anexó a San Juan. Sectores como Hato Rey, Cupey, Caimito, entre otros, son originales del municipio riopedrense. En 1951, la Legislatura aprobó legislación (Ley 210), autorizando la celebración de un referéndum para consultar al electorado de los municipios de Río Piedras y la Capital de PR, sobre la consolidación de ambos territorios en uno. La unión resultó favorecida por el electorado el 4 de junio de 1951 y el primero de julio de ese mismo año, quedaron oficialmente unidos Río Piedras y San Juan en un solo municipio: San Juan Bautista, Capital de Puerto Rico. Durante la década de 1960, hasta principios de los 1980, se puede considerar que Rio Piedras tuvo su época de oro como ciudad. Además de ser un importante centro educativo como lo sigue siendo hoy, por la presencia de la Universidad de Puerto Rico, el casco urbano riopedrense fue un punto de trasbordo entre San Juan y los pueblos de la Isla, y fue una de las más activas áreas comerciales del área metropolitana. Comercial Ubiñas, Mueblería La Luz, Farmacia Arzuaga, Cabrer, Domingo Domínguez Cash & Carry, Humberto Vidal, Almacenes Riviera, bancos, restaurantes, entre otros, fueron importantes comercios que tuvieron presencia en la Villa del Roble. Según María Isabel Vicente, ex presidenta de la Asociación de Comerciantes de Río Piedras, la situación de este sector empezó a decaer durante la década de los 90, cuando las tiendas abandonan los centros urbanos, la llegada de las megatiendas y la expansión de los centros comerciales. La Universidad de Puerto Rico “dejó de ser parte de Río Piedras”. Muchos de los clientes de los comercios eran los profesores de la UPR. Profesores y escritores como Juan Ramón Jiménez, Margot Arce y Nilita Vientós Gastón “pululaban” por el casco urbano de Río Piedras, según indicó Vicente a El Adoquín Times. Durante la década de 1990, ocurrieron unos eventos que complicaron mucho más el panorama para Río Piedras. La explosión ocurrida en la tienda Humberto Vidal en 1996, un fuego en la Plaza del Mercado ocurrido al siguiente año y la construcción del Tren Urbano. Según expresó María Isabel Vicente, durante la construcción del Tren Urbano, la situación fue “horrible” para toda la comunidad de Río Piedras “ya que no cumplió con su cometido. Se suponía que, en un radio determinado de cada estación, se dieran unos desarrollos comerciales, residenciales y que diferentes medios de transportación alimentasen el Tren Urbano, pero eso no ocurrió”. La construcción de la Plaza Universitaria tampoco favoreció el centro urbano riopedrense. La Asociación de Comerciantes de Río Piedras, llegaron a plantearle a la administración universitaria que no se construyera el proyecto y que, a cambio, la UPR adquiriera edificios de residencias abandonados por las avenidas Ponce de León y dentro de la De Diego, con el fin de aprovechar espacios vacíos y abandonados para la rehabilitación de Río Piedras, algo que no ocurrió, porque “había unos intereses económicos” a favor de la construcción del edificio. Para María Isabel Vicente, lo que necesita Río Piedras es hacer un mapa detallado de Río Piedras y una encuesta para residentes que les pregunte qué es lo que quieren en la comunidad, como mueblerías, lavanderías, zapaterías, supermercados, etc. “Río Piedras necesita una persona como un administrador de un centro comercial. Decidir qué tipo de comercio y dónde ponerlo. Y si es necesario, darle una exención por 10 años, eliminar deudas, empezar desde cero. Es mejor cobrar IVU y patentes que no cobrar nada”. Este periódico conversó con el grupo del Cuerpo Consultivo y el Fideicomiso para el desarrollo de Río Piedras, en las oficinas del Centro de Acción Urbana, Comunitaria y Empresarial (CAUCE), una unidad administrativa del Recinto riopedrense de la UPR. En mesa redonda estaban presentes Ana María Luquis de la Asociación de Residentes de Santa Rita; Mónica Ponce Caballero, trabajadora social en CAUCE; Cristina Miranda Palacios, presidenta del Fideicomiso para el Desarrollo de Río Piedras; Julio C. Verdejo, representante de los residentes ante el Cuerpo Consultivo para el Desarrollo de Río Piedras; y Mercedes Rivera, directora de CAUCE. Ana María Luquis, expresó que la Ley 75 de 1995 de Rehabilitación de Río Piedras, los ha mantenido unidos, ya que están trabajando en los criterios para actualizar el plan, tras la enmienda que se hizo de la ley en mayo 2016. Los criterios del plan los está trabajando el Cuerpo Consultivo, con el fin de sacarlo para octubre y presentarlo a las entidades pertinentes, como la Junta de Planificación y el Municipio de San Juan para implantarlo. Luquis añadió que, aunque hay una gran tristeza entre la comunidad y los vecinos, hay una gran esperanza con la rehabilitación de Río Piedras, gracias a las gestiones que se están llevando a cabo. Ana María Luquis, se imagina un Río Piedras como el del pasado: con muchas tiendas, edificios modernos, más residentes de diferentes niveles económicos, más actividades culturales para niños, el cine Paradise abierto y una mejor iluminación. Expresó, además, que en términos de seguridad, ella se siente segura caminando de noche en Río Piedras. Por su parte, Cristina Miranda Palacios dijo a este rotativo que ha sido una combinación de factores los que han causado que Río Piedras dejara de ser un importante centro urbano comercial a lo que es actualmente. Además del desparramiento urbano, la explosión del 1996 y de la construcción del Tren Urbano, a esto se le añade el problema de la percepción generalizada de la población sobre Río Piedras, en términos de seguridad y estacionamiento. Río Piedras tuvo su poder como municipio hasta la unión con San Juan. Según Julio C. Verdejo, antes de la década de 1950, Río Piedras contaba con su alcaldía, su actividad económica y una planificación que respondía a Río Piedras, pero al consolidarse con la ciudad capital, el centro de Río Piedras deja de existir. Los sectores sanjuaneros del Viejo San Juan, Santurce y Río Piedras competían por la atención, pero Río Piedras “quedó como el patito feo administrativo de San Juan”, y el municipio capitalino “nunca supo qué hacer con él”, sostuvo Verdejo. Verdejo añadió que en Puerto Rico se produce muy buenos e innovadores planes de investigación de política pública, “pero fallamos en la implementación de la misma”. En este acercamiento ciudadano desde el Cuerpo Consultivo, será la ciudadanía la que estará a cargo de revisar ese plan y “darle mollero” e impulso comunitario a su implementación. Con este propósito existen organizaciones que respaldan la política pública que se refleja en la ley 39 del 2016 que reactiva el Fideicomiso para la rehabilitación de Río Piedras. Por su parte, la directora de CAUCE, Mercedes Rivera expresó que uno de los problemas que ha tenido Río Piedras es que la planificación se ha llevado a cabo por años desde un escritorio y no desde la comunidad. Se han planificado cosas que no son ejecutables, sin pensar en su financiamiento, pero que existe una esperanza con la Ley 75 y será necesario la integración de la Universidad a la comunidad. En cuanto al Fideicomiso añade que han sido muy cautelosos, ya que necesitan fortalecer su estructura organizacional, para luego activar a todos los demás grupos. Rivera explicó que la vida comercial en Río Piedras es muy particular. Hace dos años hicieron un inventario de negocios. “Cuando me mudé aquí me gustaba el asunto del comercio local. Entre todos los barrios, la economía local tenía en ese momento, más de 150 cafetines, colmados y barras; muchos salones de bellezas, barberías en cada esquina, tienditas de frutas y vegetales, escuelas y servicios médicos de toda clase. Estaba ocurriendo mucha actividad, pero no se viabilizaba en la avenida Ponce de León”, expreso Rivera quien añadió que en Buen Consejo hay una panadería y que en el casco de Río Piedras abrirá otra próximamente. Cuando se trata de limpieza en la ciudad, Julio C Verdejo indicó que el problema que ha tenido Río Piedras por años, es que estuvieron muy acostumbrados al recogido diario de la basura y que no existe un programa de reciclaje. A través del programa Río Piedras Respira, están educando a comerciantes y residentes sobre la disposición correcta de la basura, que incluye el poder utilizar desperdicios orgánicos como compostaje. Actualmente, este programa trabaja con voluntarios y el Puerto Rico Recycling Partnership, una oficina de la Universidad de Syracuse de NY. Sobre el problema del “tagging” -o el marcado con aerosol sin ningún propósito- en edificios abandonados, este programa trabaja alternativas que incluye la colocación de plantas como la hiedra que tapen áreas propensas. Gran parte del deterioro de los edificios se debe al abandono por parte de sus dueños. Estas estructuras son propiedades de personas y corporaciones privadas, no del gobierno. Según explico Miranda Palacios, en CAUCE son como el “realtor” de Río Piedras, “nosotros aspiramos a un fideicomiso sustentable, exitoso, y que haga dinero, para poder invertir en Río Piedras. Estamos enfocados en el desarrollo de diferentes ámbitos desde culturales, vivienda, sociales y económicos”. Miranda añadió que el fin del Fideicomiso es poder adquirir propiedades con el propósito de rehabilitarlas y ponerlas al uso de la comunidad. En el Paseo de Diego, Julio C. Verdejo explicó que en los primeros bloques, es el Municipio de San Juan el dueño de la tierra y tiene unos dueños de edificios con unos contratos de alquiler, que el municipio podría hacer que cumplan con unas responsabilidades, como es el darle mantenimiento. “Mas allá de eso, los precios de alquiler podrían bajar un poco. El Cuerpo Consultivo llegó a tener una reunión con un grupo de “realtors” y dueños de edificios. Los “realtors” comentaron que muchos de los dueños de edificios ‘están estancados en los 1990 y no quieren bajar el precio de arrendamiento’. En dicha reunión hubo representación de PRIDCO, quienes le recomendaban a los “realtors” que les dijeran a sus clientes que, en vez de cobrar seis meses de renta al inquilino, le dieran la oportunidad de remodelar y el costo de remodelación, lo dedujera del costo de alquiler”. CAUCE ha trabajado con un inventario de los edificios en desuso. Muchas de estas estructuras están en manos de sucesiones y herencias. La responsabilidad de catalogar estas estructuras como “estorbo público” está a nivel municipal, es un proceso que no es automático y representa costos para el municipio. En cuanto a la posibilidad de expropiación, para eso tiene que haber un cambio de percepción y un inversionista que quiera invertir en el área comercial de Río Piedras. En Río Piedras el cierre del terminal de guaguas de la Autoridad Metropolitana de Autobuses (AMA), fue un fuerte golpe para la comunidad, ya que era un centro de trasbordo de todos los medios de transporte. Antes del cierre del “corral de la AMA”, Río Piedras contaba con conexión directa a Caguas, Carolina, Trujillo Alto, y el Aeropuerto. Para Mercedes Rivera, la comunidad no podía creer lo que había ocurrido, ya que la conectividad de la transportación pública desapareció. “La transportación pública en muchos países es el activo más apreciado, porque la gente se monta en ese espacio y todos son iguales”. Mercedes recordó, además, cuando los artistas que se reunían en Casa Ruth propusieron y trabajaron en la creación de un bloque artístico en el Paseo de Diego. Las tarimas, jardineras y toldos que aún permanecen allí fueron propuestas de los artistas, con ayuda de la Escuela de Arquitectura y TASO Taller Arquitectura Social; construido por el municipio”. Para cerrar, el casco de Río Piedras cuenta con el espíritu de los comerciantes de querer hacer negocio y los residentes están unidos a éstos para continuar su esfuerzo de resurgir el área. A través de la oficina de CAUSE en la Calle González #1056 o accediendowww.caucepr.com puede descubrir las opciones que tiene Río Piedras. Si añora que este sector vuelva a resurgir, lo mejor que puede hacer es visitarlo, apoyando así su desarrollo para devolverle ese brillo que merecen sus ciudadanos.